Sifu Philip Tambakis is a professional musician and music teacher by trade. 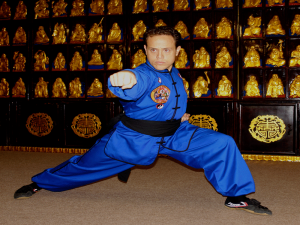 Sifu Phil has been training in Chinese Martial Arts for over 18 years. He started his formal training in a mixed style of Kung Fu consisting of Chinese Kenpo, Bagua, Shuai Jiao and Tai Chi. Sifu Phil is currently a disciple of Sifu Cheuk Ho Kwong training diligently in Chen Style Tai Chi and Shaolin Kung Fu. Phil also trains with his Si Gung 34th Generation Shaolin Warrior Monk Shi Guolin and his Younger Brother Sifu Chao Hai. Sifu Phil is the head instructor for Chen Tai Chi and Master instructor in Shaolin Kung Fu along side Sifu Jonathan Rivera here at The Chinese Martial Arts Cultural Center. Phil specializes in Da hong Boxing and Shaolin Iron Arm. His favorite and speciality weapons are The Shaolin Double Ax and long two handle Battle Field Straight Sword. Sifu Phil has performed and continues to perform at dozens of events through out New York with The Shaolin Temple Overseas Headquarters. 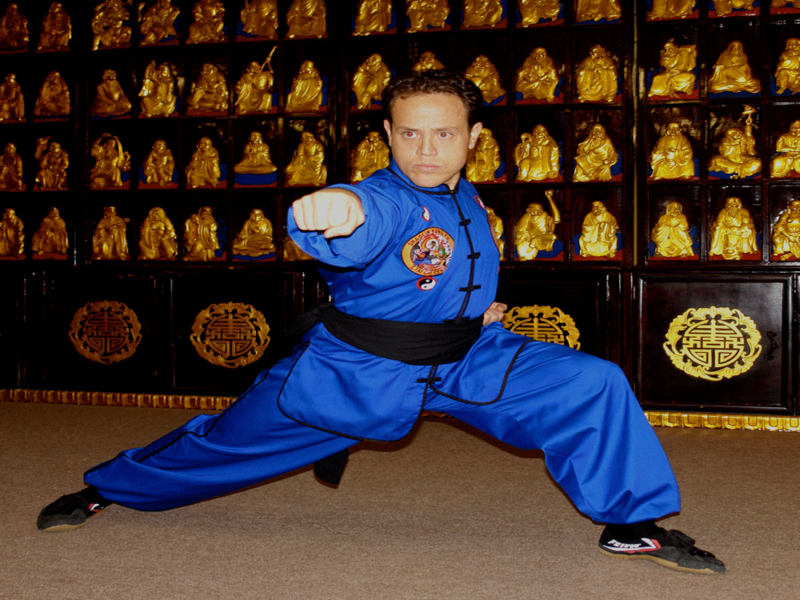 In January of 2015 Philip Tambakis obtained the rank of Sifu in the Shaolin Curriculum from his teacher Sifu Cheuk Ho Kwong and has been authorized to teach and run his own school. It is well known that Sifu Jonathan Rivera and Sifu Phil Tambakis are the only two to ever reach the rank of Master under Grandmaster Cheuk Ho Kwong.